Happy World Vegan Day! What better occasion to share my absolute favourite vegan beauty brand? 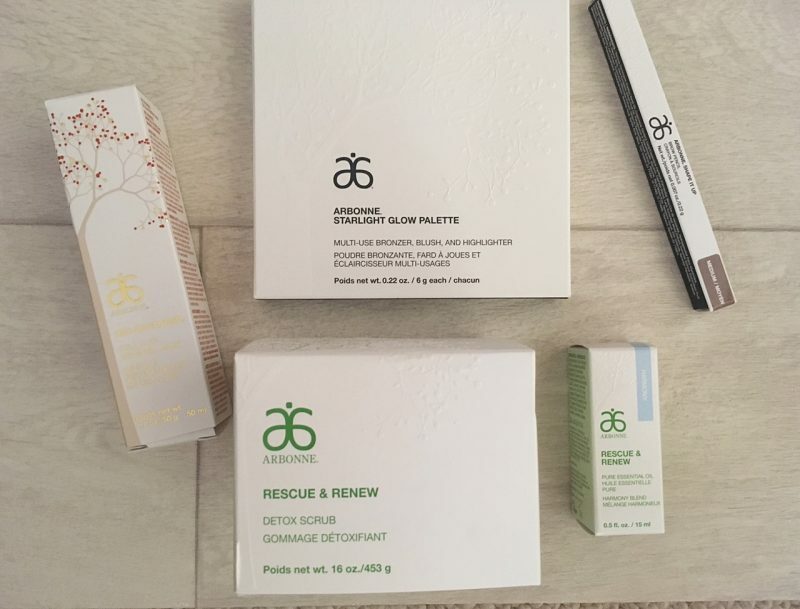 I’ve discussed Arbonne before on What Emma Did, so a few of you may already be familiar with the brand. 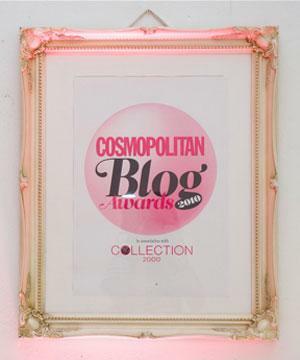 I’ve raved about their CC cream a number of times on the blog, purely because I find it fantastic! 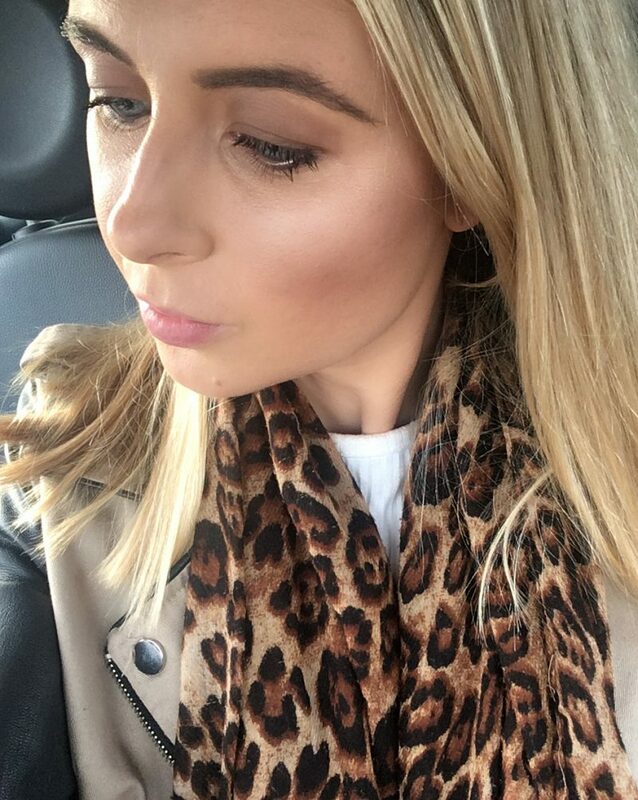 I’m rarely satisfied with the BB and CC creams I try from any beauty brands, possibly because I love a full coverage look and just struggle to fall in love with anything less. 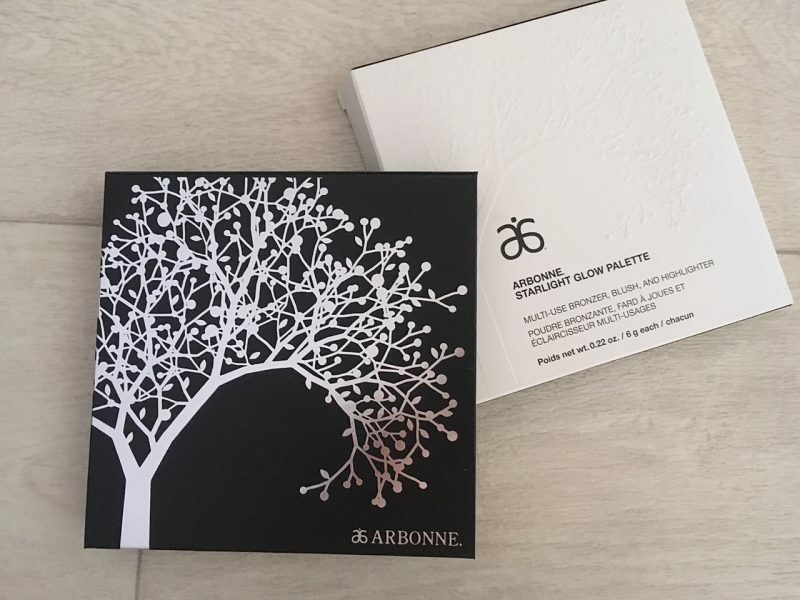 But the Arbonne Intelligence CC Cream surprised me big time! 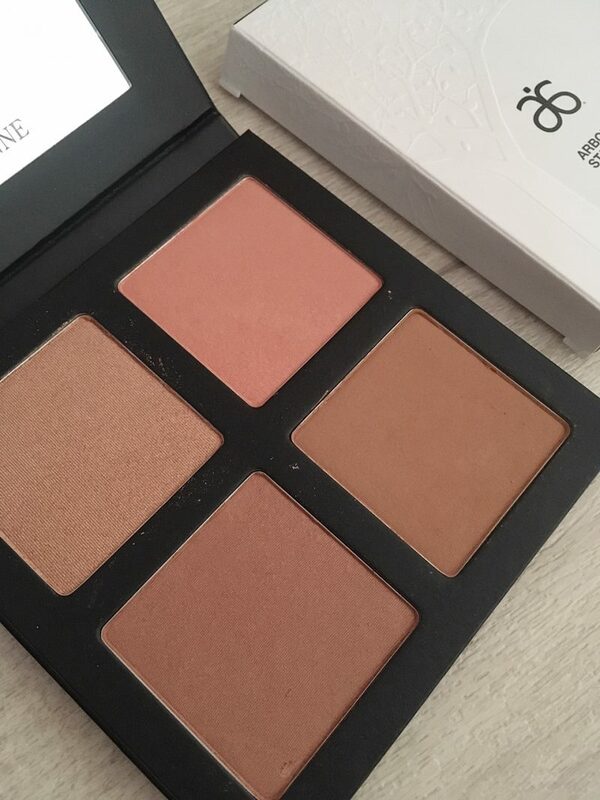 Although it’s lightweight, the texture is creamy and it blends into skin like a whipped moisturiser – a little bit finer than my usual foundation. 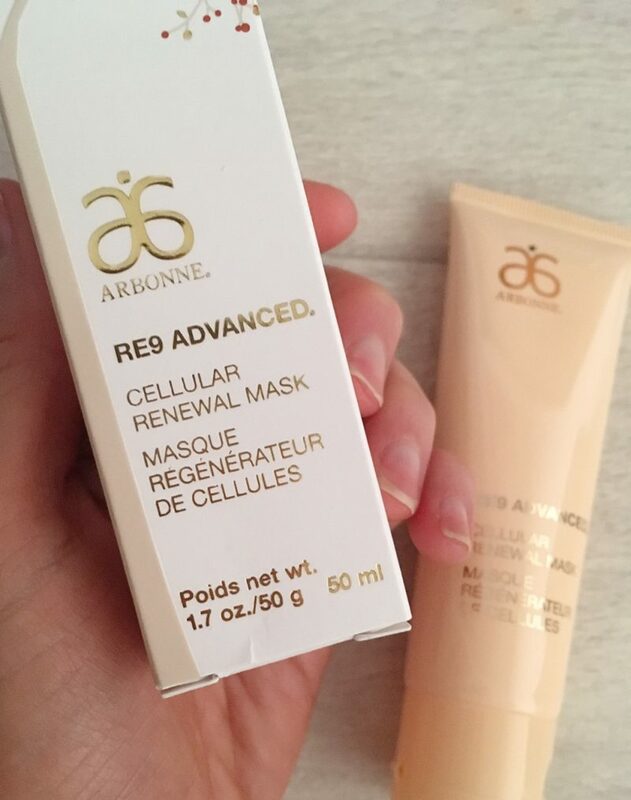 However, the coverage is enough to blur away my red marks, dull skin and any blemishes popping up. I even dab it under my eyes to conceal dark circles. 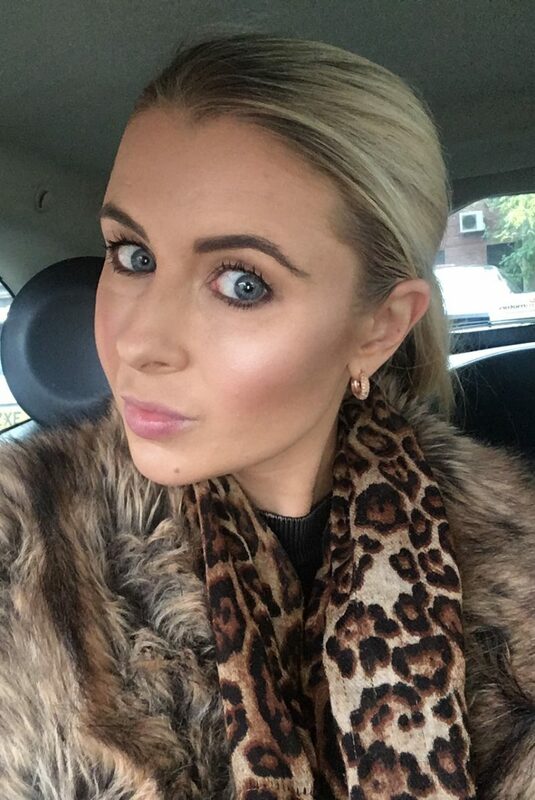 The photo above isn’t the clearest, but it’s a typical car selfie taken this morning after applying my contour and highlight from the Arbonne Starlight Glow Palette. 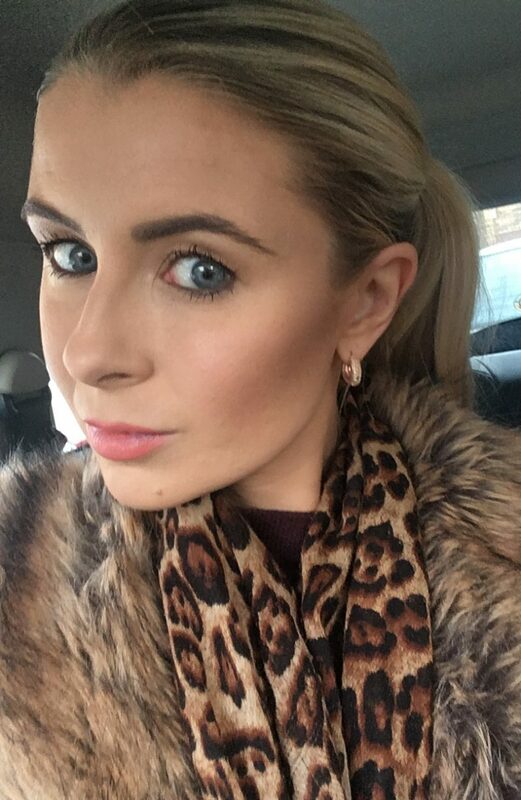 It’s actually amazing – and has now made its way into my everyday makeup. 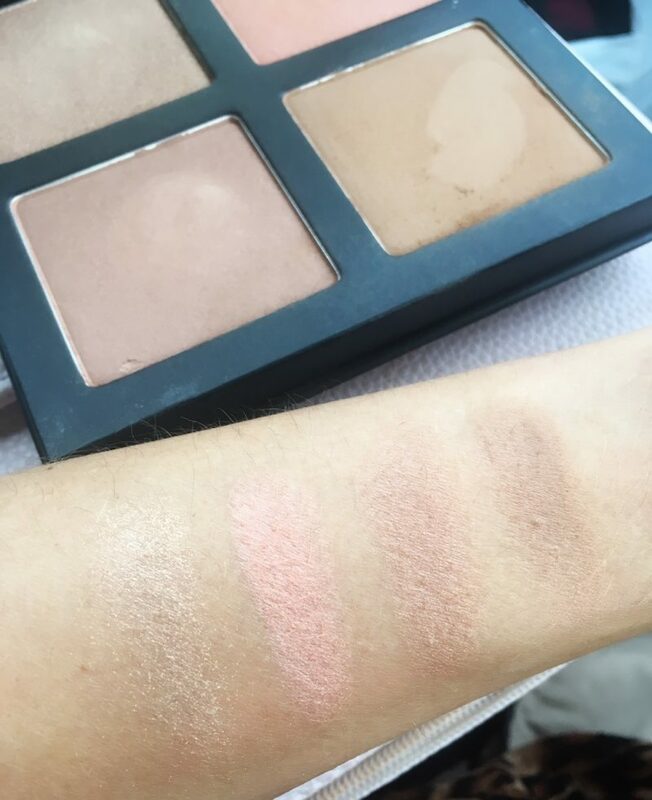 When I first looked at the four shades, I was cautious that the highlight shade wasn’t quite light enough, but its really deceiving. 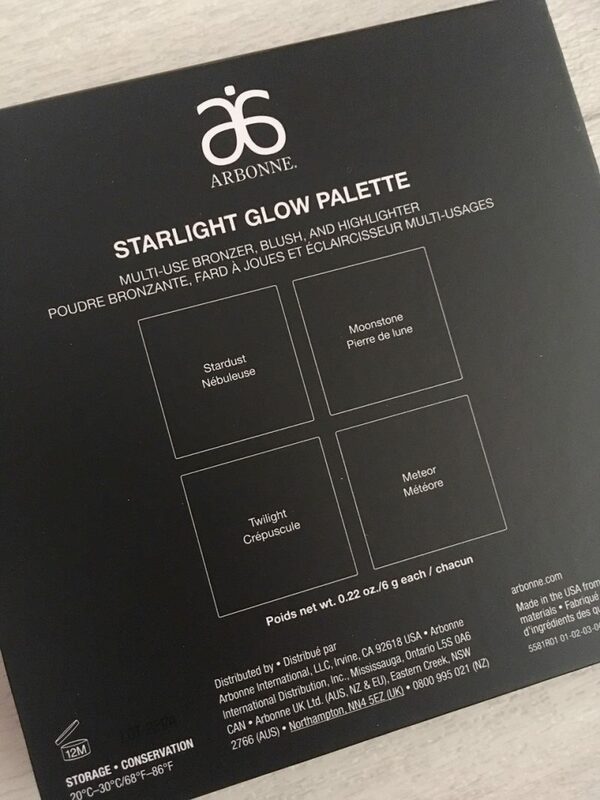 The 4 shades that make up the palette have been selected to create a celestial glow, inspired by starlight and that moonshine glow. 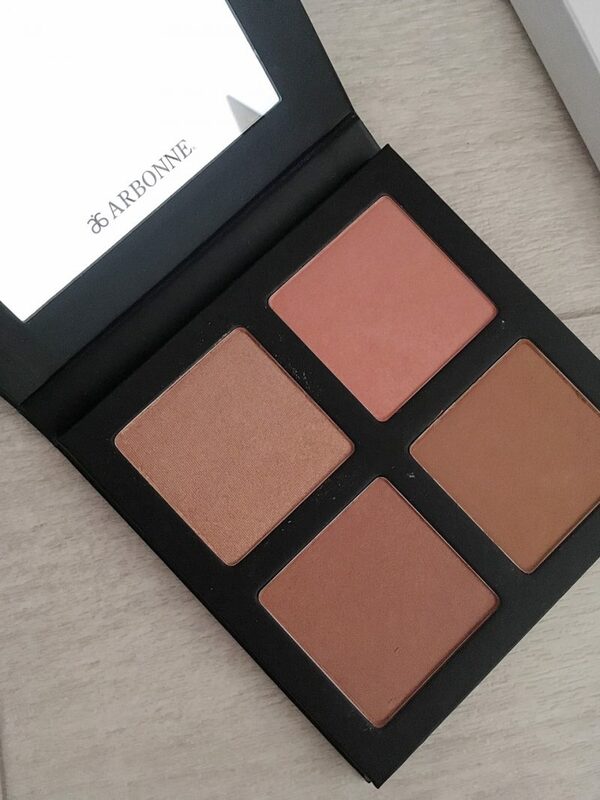 Although designed as bronzing, contouring and highlighting powders, they are fairly multi use, where you could even smudge them onto your eyelids as well as being used to highlight, blush, bronze, or contour with the array of warm to cool pigments. For me, I’m loving using them to sculpt and shape a starlit glow. 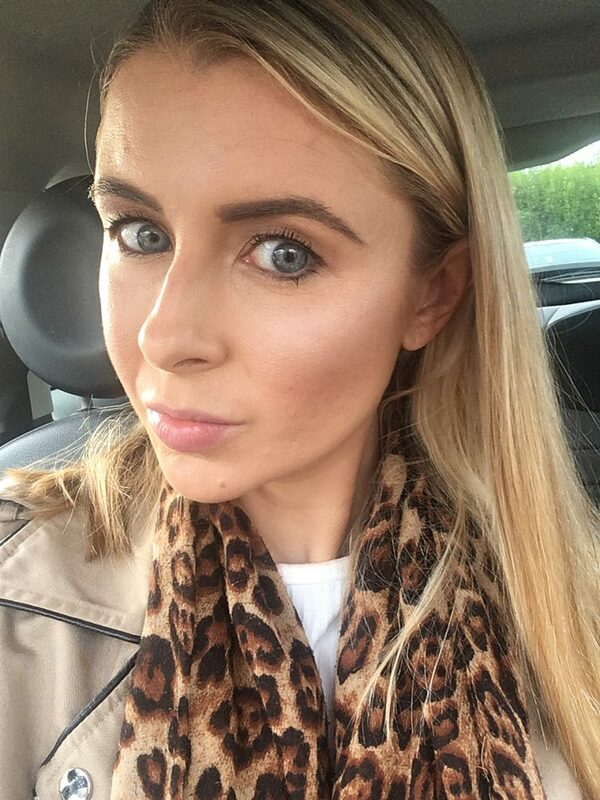 The photos in this blog post show me using the Meteor shade (a matte tan) first on the hollows of my cheeks, then lightly sweeping over the more shimmery Twilight shade over the top, around the temples and under the jaw area. Then, I sweep the Stardust shade lightly over the tops of my cheeks and a very subtle touch across my T-Zone. The Starlight shade is more of a champagne highlight when dusted on, which is incredibly pigmented and gives just the right effect. The two photos below show a few swatched on my arm, which left to right are Starlight, Moonstone, Twilight and Meteor. 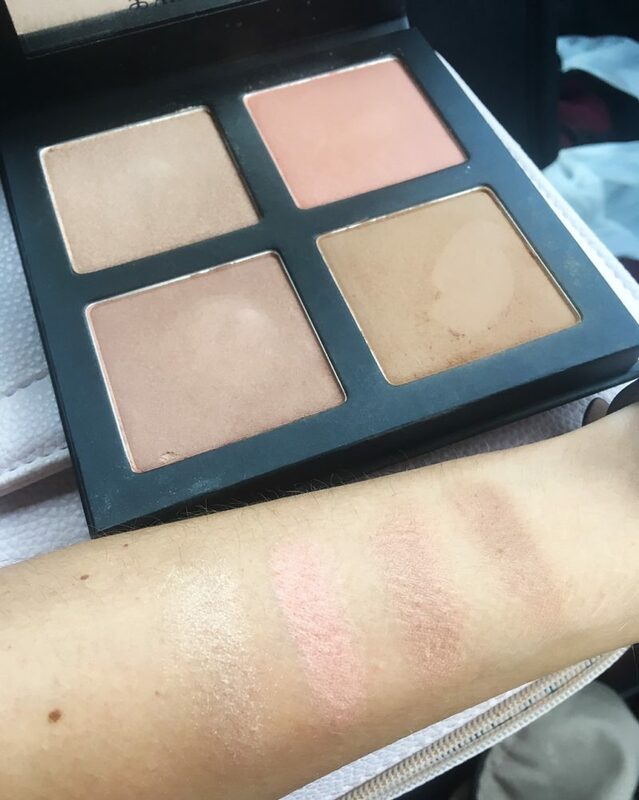 I could probably give the Starlight Glow Palette a blog post of its own, but I’ll move on and touch on some other favourites I’ve discovered. 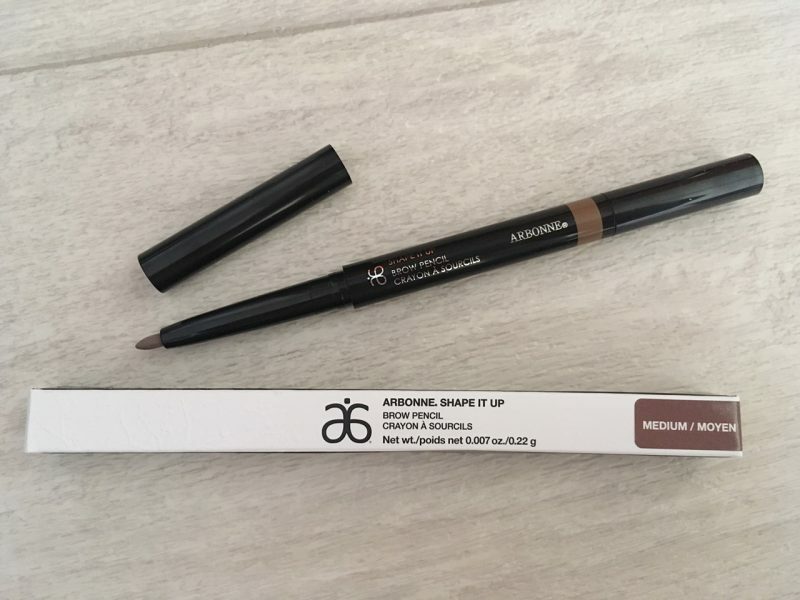 Firstly, because I’m such a big brow fan, I gave their Shape It Up Brow Pencil a go, which is a a double ended brow brush and pencil product to shape, fill and groom your brows. 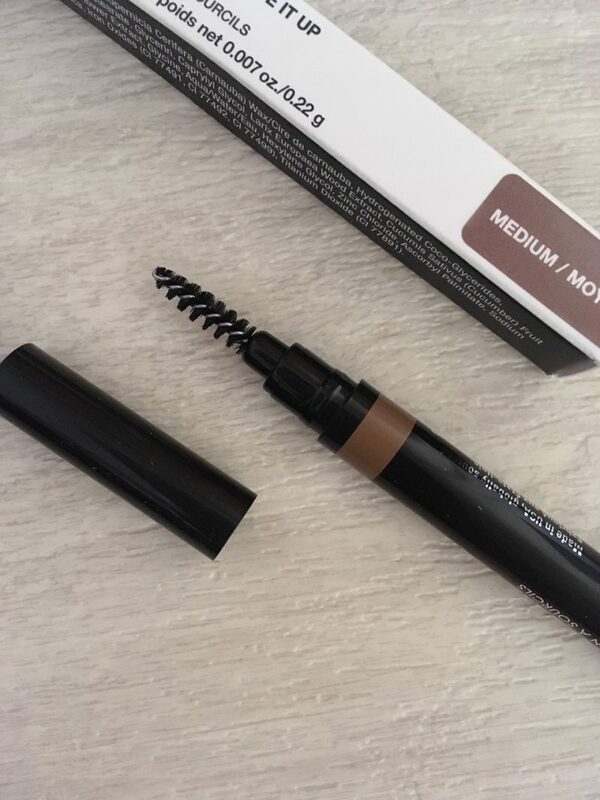 What I loved about it straight away is the ease: you use the brush to sweep the brow hairs upwards and smooth into place, then blend the pencil through the hairs to fill out and shape as you desire. But because the pencil is so soft, you can go as light or as hard with the pressure as you like, creating a build-able effect. It doesn’t smudge – just creates soft, natural hair strokes. Its packed with larch & green tea complex to help brows look fuller, and comes as a retractable pencil in three natural looking shades to match all hair colours and tones. 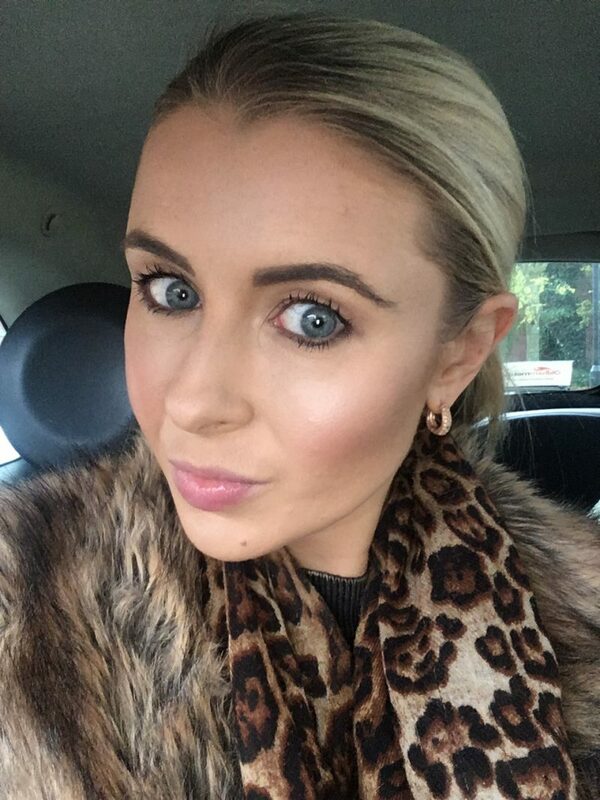 A great product for those who prefer using crayon style pencils to build up their brows. 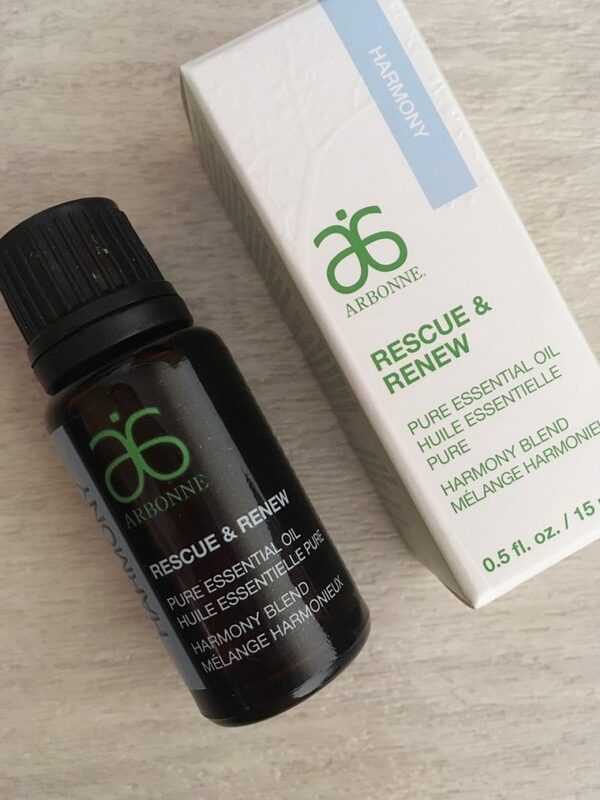 Some others that have made their way into my life include the Arbonne Rescue & Renew Pure Essential Oil in Harmony Blend, which is a dream product right now as I’m feeling a little tense and stressed. Its made up of a sparkling blend of oils like orange, lavender, rosemary, and ginger to foster harmony. It’s aim is to promote a relaxing ambiance to inspire an overall sense of well-being, and you can use it in 3 ways. The first is to dilute with a few drops of water and apply topically to pulse points, or into body lotions (I actually added three drops to my bath!). The second is to add to your diffuser to spread around your chosen room, and the third is to add to a bowl of boiling hot water and inhale when you need an uplifting sense of calm, or to clear your mind or senses. They do other scents too, like lemon, lavendar and peppermint. The next product deserves its own blog post, so I’m going to trial them out for the next couple of weeks and give a full review. 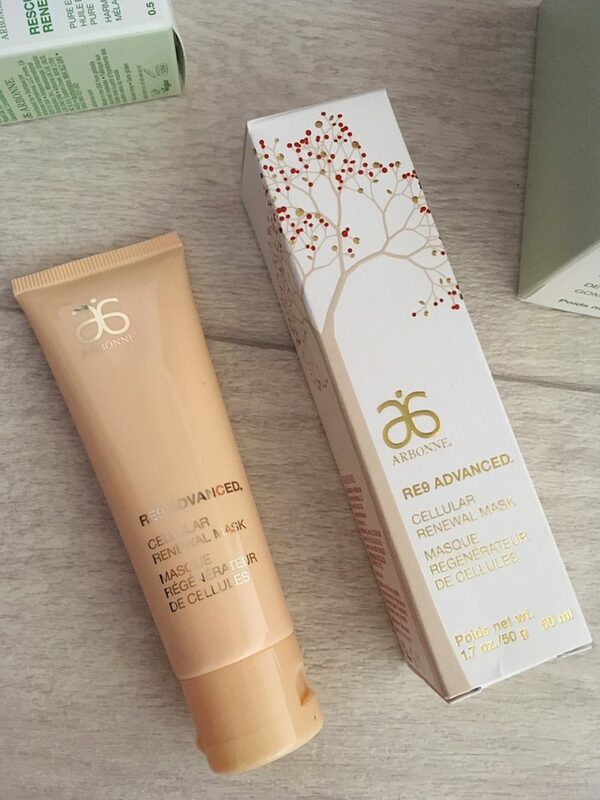 I only got them a few days ago, so I’ve only used this RE9 Advanced Cellular Renewal Mask just the once, but was super impressed with the results from the one go! But I’m going to get a better idea of it after a couple of goes – so watch this space for the full review. 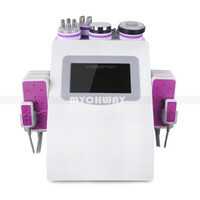 In a nutshell, it aims to help reveal your healthiest looking complexion with botanical exfoliants. Pineapple and papaya enzymes in this mask work together to gently remove dead skin cells to minimise the look of pores and improve the appearance of skin tone for a fresh looking skin canvas. 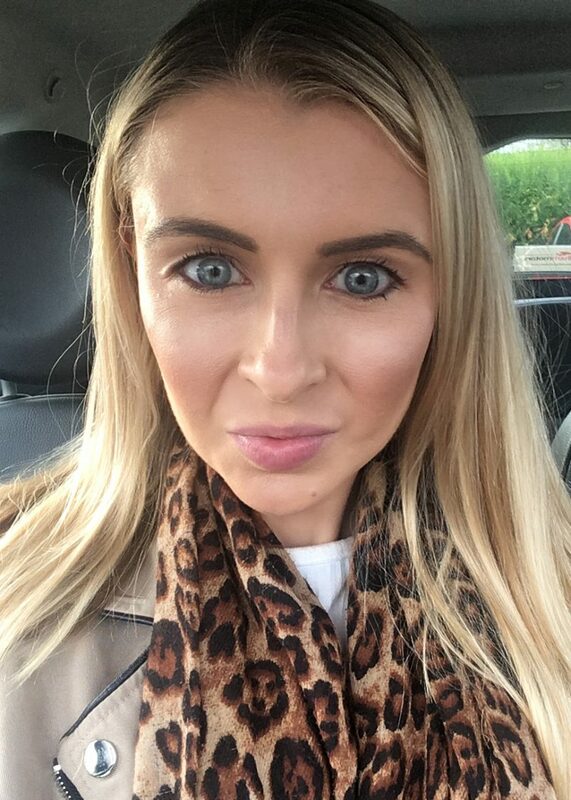 I’ve used Papaya enzymes in skincare before and have always been impressed with the results, it really helps slough away at dead skin cells and reveal a little glow.